Hackers Are Selling 2.2 Million Stolen Credit Cards From The PlayStation Network (SNE): "
Just a few days after Sony admitted that hackers may have obtained credit card information from PlayStation network users, some are claiming to have up to 2.2 million card numbers for sale. PC World spoke to a few data security analysts that said even though Sony claims credit card data was encrypted, it's still possible that the hackers were able to decrypt it by now. The Guardian says some PSN users are reporting fraud on their credit cards, including charges for flights and other large purchases. 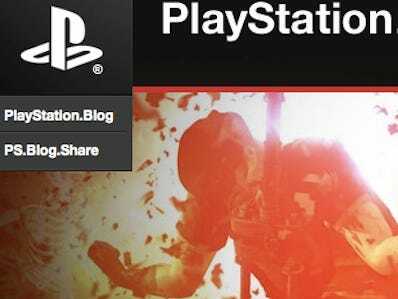 Sony's second in command, Kazuo Hirai, is holding a press conference tomorrow to explain the PSN outage, and hopefully address the concerns over stolen credit cards. Rumor: Evidence for a Castle in the 'iCloud' for Lion: "
French blog Consomac sent us a heads-up that they've done a bit of digging in the current developer preview, searching for further evidence of the suggested Find My Mac feature in Mac OS X 10.7 Lion and the fabled iCloud domain name. What they found was fascinating. T-Mobile make ad for royal wedding and the no sign of a cell in this hold video. how dose it help to sell there service. We recently announced upcoming changes to the maximum number of users for Google Apps. We want to let you know that, as a current custome. As of May 10, any organization that signs up for a new account will be required to use the paid Google Apps for Business product in order to create more than 10 users. We honor our commitment to all existing customers and will allow you to add more than 10 users to your account for thomsonville.co.cc at no additional charge, based on the limit in place when you joined us. There is a new add-on for Google chrome which will let you add movie to a Netflix queue for Canada user. So if you looking for a way to add thing that you want to watch and keep track of thing you want to see. So Check Out Right Now At NetflixQ So if you have any tips please e-mail them to me at tips@thomsonville.co.cc. Now Here are some screenshot of the add-on.